Containers for Change provides an exciting opportunity for schools, community groups and charities to benefit from the Queensland Government's 10c container refund scheme. 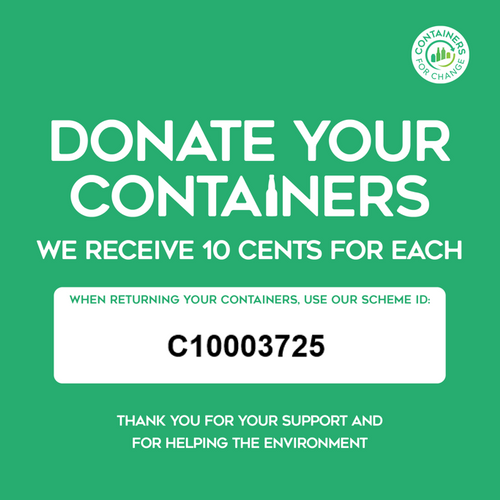 We have registered with Containers for Change so that anyone can donate their 10 cent refund to the College using our Scheme ID when they return their containers to a refund point. Click on the images below for our Scheme ID and Dalby drop off point details which you will need when you take your containers for refund in Dalby or anywhere around Queensland. 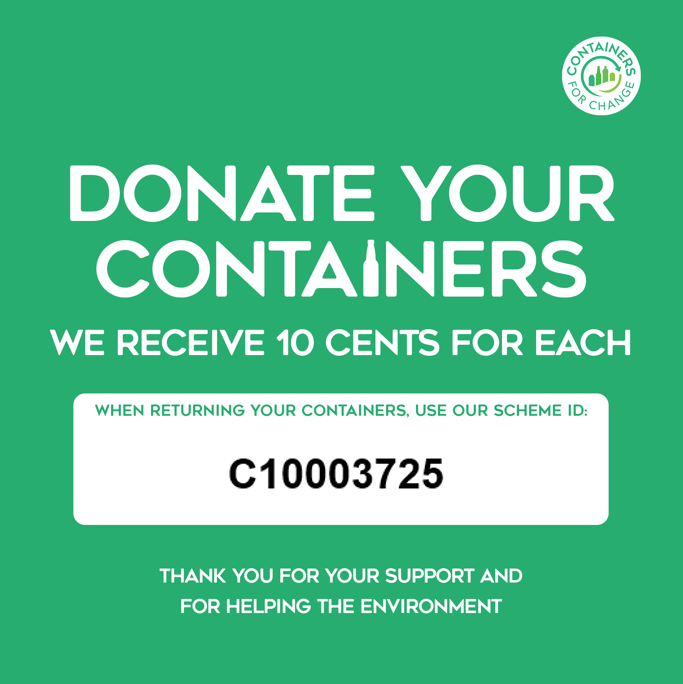 For more information on the Containers for Change scheme, refund or drop off points and eligible containers, click on the link below.